Sister Norma Pimentel has become well-known for helping immigrant families, and immigration along the United States-Mexico border has been her focus more recently. 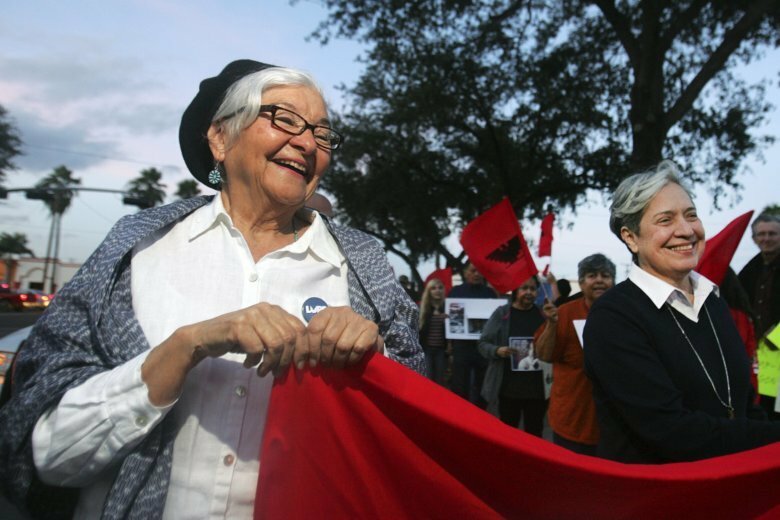 MCALLEN, Texas (AP) — As Sister Norma Pimentel’s profile continues to explode, and a day after receiving a national award halfway across the country, she surprisingly received a $27,000 donation from the Jewish community for her work assisting immigrants. The Monitor reports Pimentel has become well-known for helping immigrant families, and under President Donald Trump, immigration along the United States-Mexico border has been a focus. Recently, with Trump’s “zero-tolerance” policy, some 2,500 immigrant families were separated. Hundreds of those families, upon reunion, have stayed temporarily with Catholic Charities of the Rio Grande Valley, which Pimentel directs. So the Hispanic Heritage Awards recently honored Pimentel with the organization’s community service award in Washington, D.C. Local leaders lauded Pimentel a day later at NIU Living on 10th Street upon her return from the country’s capital, where Pimentel also announced a campaign to raise $5.5 million for the new, permanent humanitarian respite center in downtown McAllen. Those funds will go toward the building itself, and its operations. The new several-story building, announced last year, will cost no more than $4 million, Pimentel said. There is currently a nationwide competition for the architectural designing of the new building. The competition is run by Catholic Charities in conjunction with Georgetown University. Construction on the permanent respite center, which will be located by the corner of Chicago Avenue and 16th Street, will likely begin in 2019. Pimentel hopes for an opening at the beginning of 2020. For now, immigrants temporarily passing through the Rio Grande Valley will continue to stay at the Catholic Charities humanitarian respite center on Beaumont Avenue near Bicentennial Boulevard, behind Bentsen Tower. When immigrants are apprehended by law enforcement, they are brought to a processing center in south McAllen. Many of the families are then dropped off downtown and stay for several hours, usually not more than a day, at the respite center before boarding a bus at the bus station to live with family elsewhere in the U.S. as they seek asylum. The respite center has been flooded with hundreds of immigrants every day in recent months, so donations and funding are critical to its mission. Mike Blum, a real estate agent and member of McAllen’s Temple Emanuel, has been receiving donations and checks from the Jewish community across the country. And the contributions haven’t stopped, even as Trump’s family separations policy has. Blum presented Pimentel with a check for $27,350.